This affordable, efficient, automated return and sorting system has an intuitive user interface and can be mounted on an internal or external wall. Ideal for libraries with limited space, it can be used for return only or can accommodate up to 15 bins (Model SL offers up to 3 bins and Model FX offers up to 15 bins). 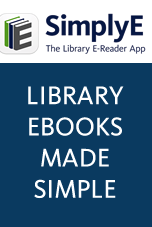 Provides real-time check-in feature and easy-to-use interface to help your library increase circulation and maintain a more accurate catalog. The 3M RFID Detection System Model 9100 combines flexibility and style with state-of-the-art technology to help provide excellent detection and reliability. A component of the 3M™ One-Tag RFID System, the 8800 provides state-of-the-art protection for all marked library materials. Available in black or gray. The Model 8900 combines flexibility and style with state-of-the-art technology to provide excellent detection and reliable performance. Exceptional tag discrimination and wide-aisle detection capability in a slim, unobtrusive package. High performance, small footprint. Fits easily into areas that are too small for traditional detection systems. For the discerning library concerned with aesthetics, this designer-inspired system is crafted of genuine wood. Combines classic elegance with cutting-edge electronics to provide superior wide-aisle detection in an exceptionally attractive package. Now your security system can make a statement and blend seamlessly with your library’s decor. With best in class detection performance and a choice of over 30 material and color combinations, the new Detection System Select Series will help you reduce collection loss without compromising style. A flexible, reliable, very low frequency system, the 3500 offers an adjustable height detection zone and a wide range of installation options. Remote electronics ensure reliable operation. Virtually free of phantom alarms. With superior coverage that ensures dependable protection of all protected materials, the advanced design of this system helps save time and maintenance costs. Self-contained diagnostics reduce maintenance calls and ensure optimum performance. 36" and 42" corridor options accommodate wheelchairs with ease. Used in conjunction with your 3M™ SelfCheck™ System, this is the only integrated disc media security system that ensures the item checked out is the same item that is unlocked. New DiscMate cases provide a first-of-their-kind solution for efficient display and security. These precision-balanced strips are designed for CDs and CD-ROMs. The easy, 1-step application process integrates 2 strips into a clear film overlay that prevents removal and protects the surface of the disc. Strips will not affect performance. This cordless handheld device reads 3M RFID Tags on books and other materials, and makes shelf reading, re-shelving, sorting, searching, weeding and exception-finding much easier and more efficient.